If you are looking for blue flower pictures – I mean REAL blue flowers, today I am showing off some of mine. How many times have you seen a purple flower listed as being blue. In the flower kingdom, this happens a lot and I think it is because there really aren’t that many true blue flowers. It’s a popular color, especially for weddings – that “something blue” phrase can be taken care of with a blue bouquet or at least one blue flower in the mix. Blue flowers are popular in the landscape too. 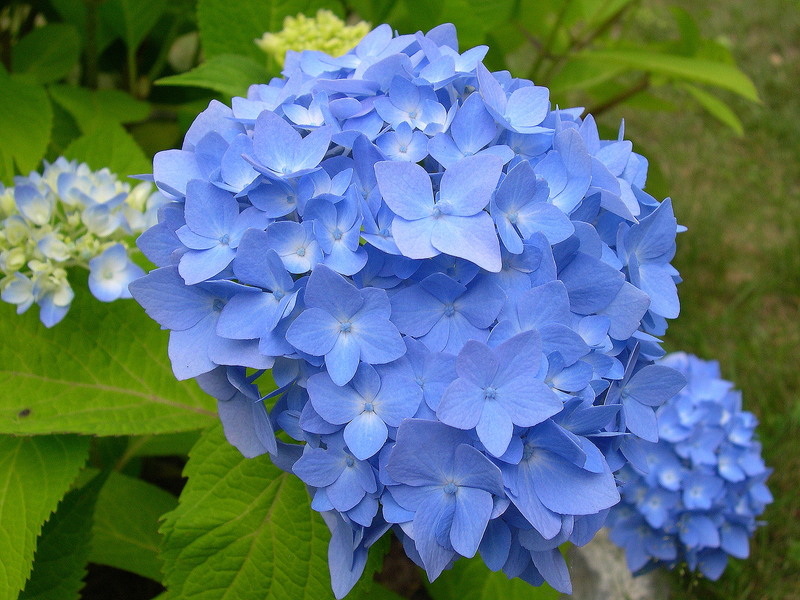 The perennials that come in blue are certain types of hydrangea (pictured), such as the “Endless Summer” variety. But soil must be acidic for flowers to be nice and blue. I also love the forget-me-not, which sports tiny bright blue petals with yellow and white centers. Lots of gardeners include the blue delphinium that grows tall, and many like to have a morning glory vine grow along the deck railing or up the fencepost. I have another page with more ♥ pictures of blue flowers you could grow in your garden. 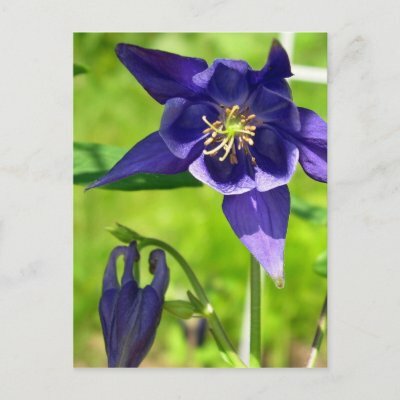 Another flower I grow that is sometimes blue is the Columbine. I love the variety of that plant and I’ve had light blue flowers, but the more common color is dark purple, as you can see in my photo below. My images are not free to use, so please contact me if you want to use one, with a link back to my blog. Previous Post What Flowers Will Kate Carry Down The Aisle? Hello, my name is Loriena and I am the owner of a landscape company in Wisconsin. May I use your photo of the blue hydrangea on my website? I need a photo of a blue flower…and given the winter season I can not just go out and get one. Please let me know if it is alright to use your photograph. Thank you. Thank you Loriena for asking, and your site looks wonderful! I have found your website while searching for hydrangeas for sale in N.H. Do you or someone that you know of sell dried or cut hydrangeas locally? I would love to use this beautiful flower for the center pieces for my Grandmothers 90th birthday. I don’t sell them – the shrub is not even mine as I am renting. I would suggest you contact a local florist and ask them about fresh ones. In fact they might be able to answer all your questions. From what I’ve seen, they are expensive, but being such a large bloom you can buy fewer flowers to create a centerpiece.